ST. GEORGE – Currently Utah is one of 15 states that allows for straight-ticket voting for all levels of government. 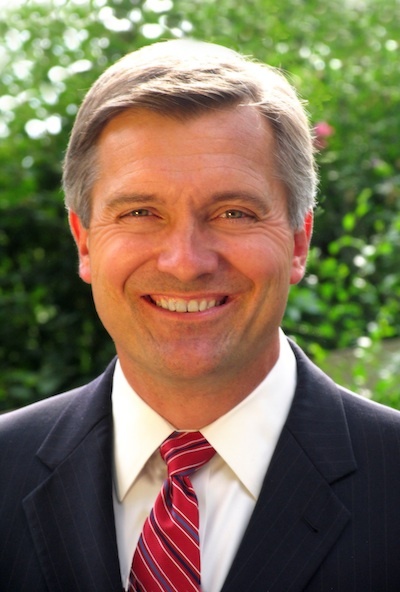 However, if a new bill proposed by Utah Democratic Rep. Jim Matheson is passed by Congress, straight-ticket voting for federal offices would be eliminated. Matheson joined with Republican Rep. Charlie Dent of Pennsylvania and introduced HR 936, or the People Before Party Act of 2013, in the House of Representatives on March 4. The intended purpose of the bill is to “reduce the role of partisanship in the voting process,” according to a statement from Matheson’s office. “Specifically, the Matheson-Dent bill would end the practice of straight-ticket voting in federal elections, a practice that too often discourages voters from evaluating each candidate based on individual qualifications and forces them into an all-or-nothing decision based on party affiliation alone,” the statement reads. By not being able to mark a single box that would encompass the entirety of a voter’s choices, the bill’s sponsors hope to encourage “thoughtful and complete voting participation” in non-partisan elections as well, like judicial positions and ballot initiatives that may otherwise be left unnoticed are untouched. Local reaction to the bill has been mixed. Some voices are optimistic, while others see little value in it. Dorothy Engelman, chair of the Washington County Democratic Party, supports the concept behind the bill, as it may lead to voters looking more at the individuals running for public office, rather than their party affiliation. “It levels the playing field for all candidates,” she said, and added the bill could also give third party candidates a better chance in elections too. However, Dave Seely, a former congressional candidate on the Libertarian ticket, isn’t so sure. Even if the straight-ticket option for federal elections is taken away, he said, what’s to stop voters from selecting candidates based on party alone? “What’s the difference?” Seely said. Seely’s sentiments are echoed by Willie Billings, the chair of Washington County’s Republican Party. “I don’t think (the bill) has any teeth,” he said. Still, Matheson believes the bill will help reduce the role of partisanship in the voting process. “Everywhere I go, people tell me how frustrated they are with the partisan bickering that overwhelms our politics today. This legislation is one step we can take to reduce the role of parties in our elections and encourage everyone to vote for candidates for each federal office by voting the person, not the party,” Matheson said. While the Matheson-Dent bill would only apply to federal elections, and would have no affect on state and local races, attempts have been made in the past to eliminate straight- ticket voting within the state. The most recent attempt was made by Rep. Patrice Arent, D-Salt Lake City. Her bill, HB 258, was shot down by a House committee on Jan. 30. Currently, only 15 states in the country still allow straight-ticket voting. These states include: Alabama, Indiana, Iowa, Kentucky, Michigan, New Jersey, New Mexico, North Carolina, Oklahoma, Pennsylvania, Rhode Island, South Carolina, Texas, Utah and West Virginia.